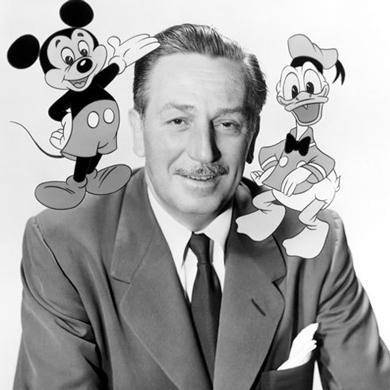 The Walt Disney Company and its subsidiaries brought in more annual revenue than most small countries last year. And here's the good news for actors: They employ more entertainment professionals than any other business in the world. Plenty of actors make a very decent living performing in their theme parks, on their cruise lines, even on the Disney Channel. All Disney, all day! Be on time. And by be on time, we really mean be fifteen minutes early. A Disney casting director will see countless hundreds of performers every day. So if any one of them is late, even a little bit, it throws off their schedule in a BIG way. Don't be that person. Bring a headshot and resumé. Make sure you bring a copy of your professional headshots and your actor resume. Staple them back to back, with one staple in each corner. And remember, the Disney folks will have to keep it. Auditions are closed. Walking into that room can be pretty scary, we know. But you have to go alone. Friends and family will be waiting for you after you're finished. Everyone is rooting for you! Having been to a few of these auditions, we can attest: The Disney folks are really friendly. (It's kinda part of the job...) So go in there, strut your stuff, and have FUN! The Disney Company asks actors to prepare a one minute comedic monologue. The best thing you can do is time your monologue with a stopwatch while you're rehearsing it. Do this and you won't be stopped early. In addition, you may be asked to participate in some improv exercises, or even read from a script. Disney wants to see two contrasting 16 bar audition songs. And while it's important that you're a good singer, it's more important that you can act the song. Remember that you're telling a story. Disney won't allow you to sing along with a CD or tape. They will provide an accompanist. Which means that you'll have to provide your own vocal sheet music. And bring some dance clothes. If they like you, they might want to see you move. Disney is rather vague when it comes to dance auditions. Probably because they need such a wide variety of dancers. But more often than not, you'll be taught a short dance combination. So what can you do to prepare? Bring the right audition shoes: ballet shoes, jazz shoes, and character heels. Also, some light stretching and warming up before you dance can help immensely. Now that you know what to do for Disney casting calls, you need to know where to do it. Check out Disney's audition calendar for the next audition day in your neighborhood. It may be sooner than you think! Want to get in touch with us? We would love to hear from you! Send an email to aceyouraudition@gmail.com. Visit our page on Facebook. Give us a shout on Twitter: @aceyouraudition. Or send us a message on our Google+ page. We'll strive to respond within 48 hours. Are you a producer or director? Seeking talent for your next project? Post your casting notice on Ace Your Audition. Basics: Title of project, type of project (film, TV, theater, commercial, voiceover, print), casting agency, production company, a short description or synopsis, the genre, union or non-union, etc. Dates: Audition dates, shooting dates, etc. Locations: Audition location, shooting location, etc. Compensation: What is the pay? Any other perks? Character Breakdown: Including age, gender, race, personality traits, and any other relevant info. Image(s): Whether it's your production company's logo, your headshot, or promotional material for the project, including an image is always a good idea. Call to Action: How should actors submit? Is there an open call? What should they prepare? If approved, you may expect your casting notice to be displayed within 72 hours. You will receive email notification with a link. Feel free to post your casting call on our Facebook page as well.